Discovery can be used to place holds! 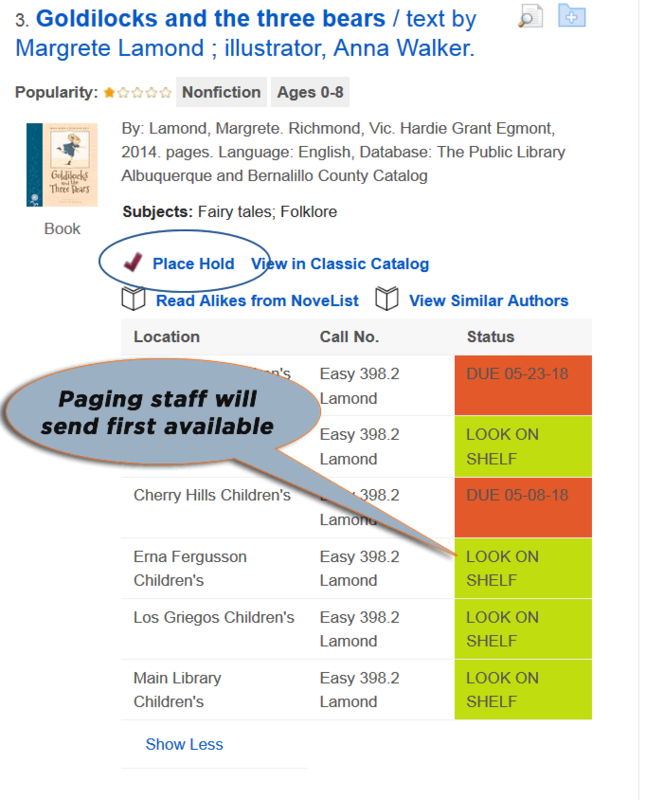 The Public Library "Classic Catalog" can still be used to Create Lists, Manage Checkouts and Holds, as well as track Reading History. Below, find an example of how to place a hold in Discovery. 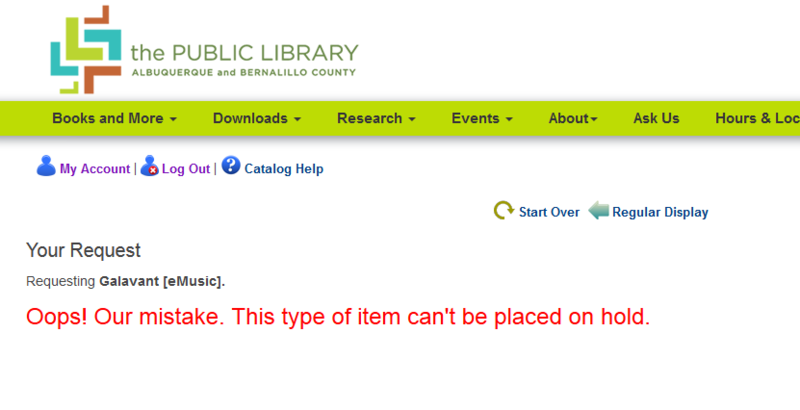 First, find the item and note that items in digital format do not have a Place Hold button but may be holdable through the eResource provider's website. Public Library branches with current holdings of a copy of the resource are highlighted with green , and items already checked out with red . Then, use the Place Hold button to send to the most convenient branch for pickup! Select the Place Hold button by the item in your search results or on the item record page. 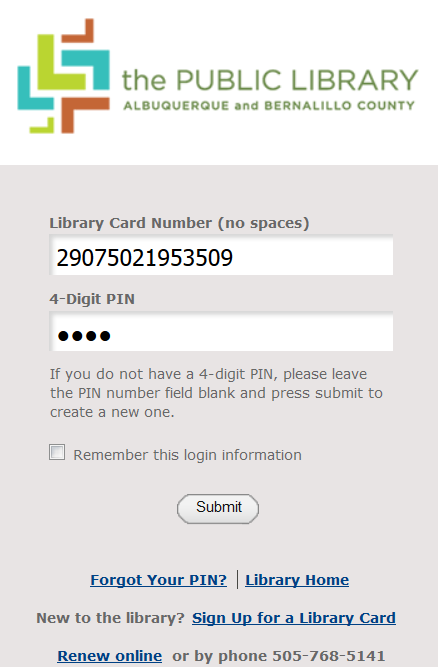 If not already logged in to My Account, enter library card number and PIN into the authentication page, and then select the location where the book will be picked up. 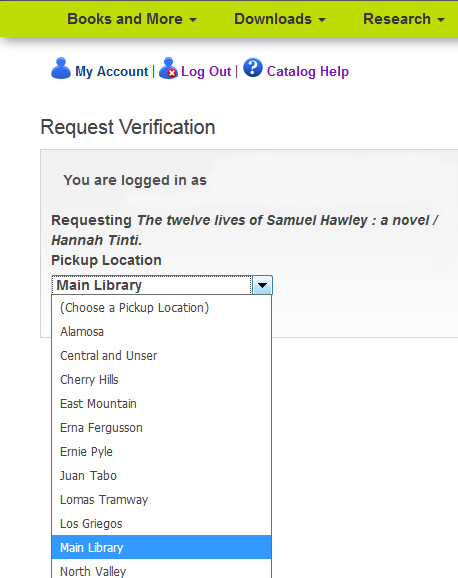 Your home library will be selected as the default when you select the arrow for dropdown, but any location may be selected. Click Submit to finish requesting the hold. Some records for eResources in Discovery search results will have the Place Hold button even though they cannot be placed on hold through My Account. 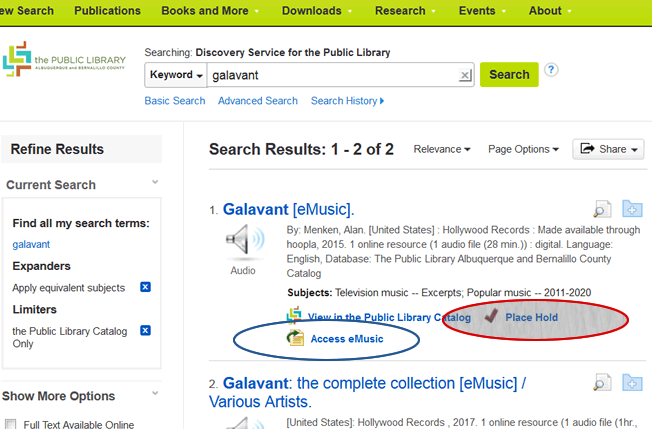 Access the resource directly (for the most part these records appear with OverDrive and hoopla resources) by clicking on "View in the Public Library Catalog" or "Access eMusic". 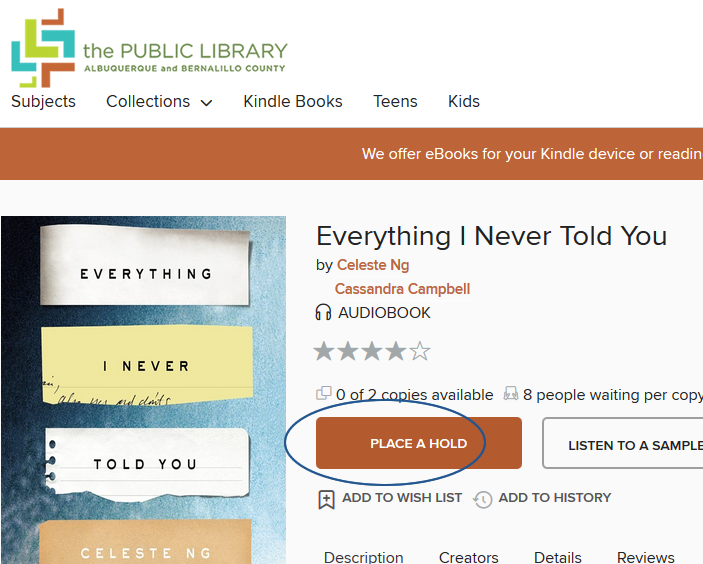 If you do press the Place Hold button, the link will take you to the Public Library login screen and to select a library branch for pickup. After selecting a branch, you will see the message below. You should instead use the link included, which will direct you to the platform offering the material. 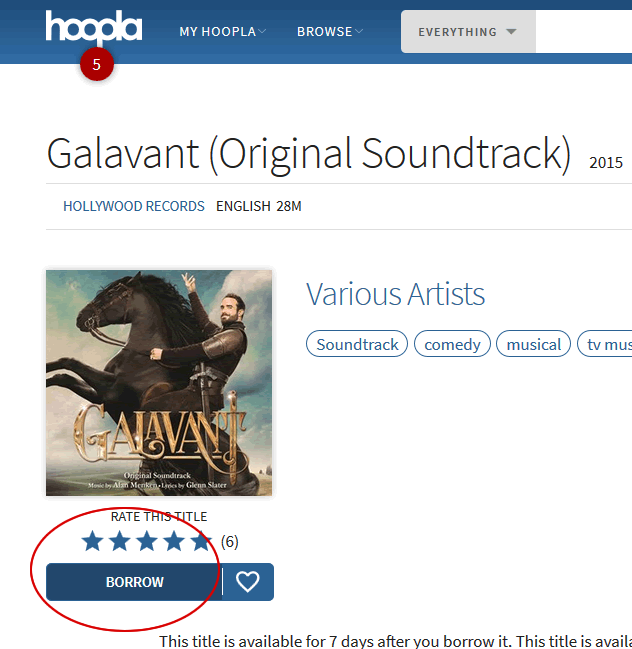 Below are screenshots for linking through to hoopla or OverDrive, which will allow you to borrow or place a hold.